Presented by NiceKicks. Check it out! Spring/Summer lines already? Oh man. I guess Mr. Aoki has always been known to do his own thing. These look good. 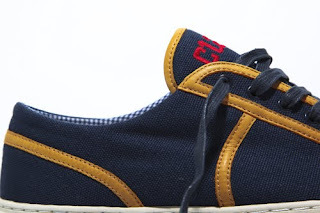 They seem to have a "bowling shoe" feel to me (perhaps its the colorway? ), but it works. More info. 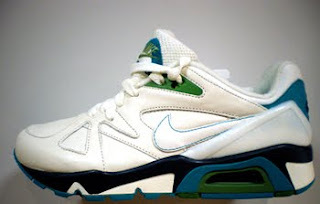 Another woman's only release from Nike on the Air Structure Triax '91. What's up Blue Ribbon? Can the Fella's get a look on some nice colorways too? Shirt and Mixtape combo. 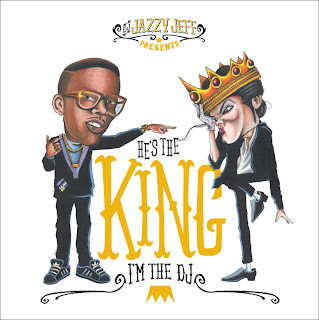 When I first saw the teasers over at Dustin's spot, I thought it was going to be a collab featuring the other King, but lo and behold, its an exclusive mixtape from legendary DJ JAZZY JEFF featuring some of MJ's most known and underrated songs. If the 48 track mixtape isn't enough for you to show your support, feel free to cop the shirt as well. Oh, and I'd act fast on the mixtape, you know how quick those Cease & Desist orders come. 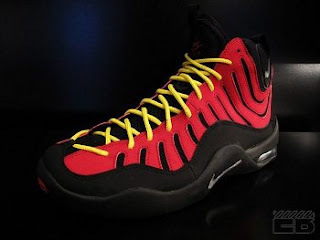 Nike Air Bakin' - Retro!!! I remember it like it was yesterday - 1997, Summer League basketball. I convinced my mom to let me come up on these beautiful Air Bacon's. 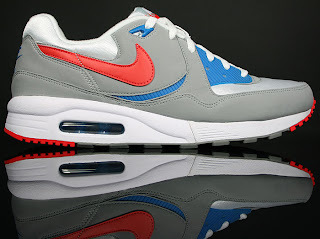 I don't know what drew me to them, but once I saw them on Tim Hardaway (Watch THIS for a refresher), I had to have them. Considering our high school team uniforms were royal blue and gold, I guess this marked my early ascension to sneaker head royalty. More here. 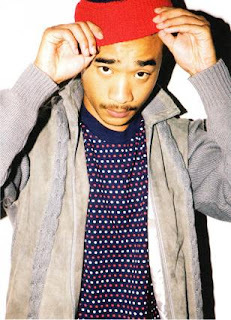 Chalk one up in the "unexpected collab column" for Stussy and Hello Kitty. Nov 7th release, Japan only (*sigh*). Dilemma Dilemma. 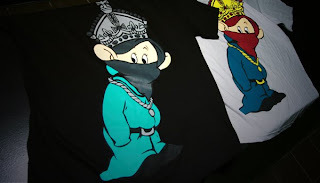 So I'm trying to cut down on the number of shirts in my closet that feature prominant cartoon graphics, but then I come across this Dope Couture x Dopey (7 Dwarfs) shirt...and dammit, the black colorway is Dope! (Sorry, couldn't refrain). Only 75 made in each colorway. Cop! I like this! UNDRCRWN's new line just dropped, and as we've all come to expect, clean designs ensue featuring sports and pop-culture related gears. More info here. John Coltrane is a giant in the history of American music. He was a pioneer in developing a new sound in Jazz music with the use of modes and improvisation, and later was at the forefront of the Free Jazz movement. As a leader Coltrane was astonishingly prolific and recorded almost fifty albums. He also co-collaborated on, and strongly influenced, many other recordings with the legends of his time including Miles Davis and Thelonious Monk. As his life and career progressed, Coltrane's music took on an increasingly spiritual dimension, which became integral to his sound. Coltrane has influenced innumerable musicians, and remains one of the most significant tenor saxophonists in Jazz history. 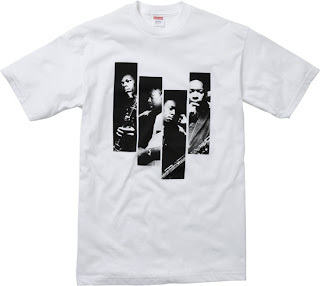 For the coming season Supreme, along with the John Coltrane foundation is proud to present a group of T-shirts honoring this great American icon. Available in-store and webstore on October 22nd. Available in Japan on October 24th. Hot colorway of one of my favorite team logos. 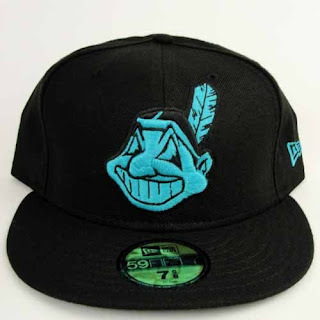 Purchase now at Cranium Fitteds. In honor of Spike's "Where the Wild Things Are" and in honor of Kanye's new book, here goes their collaborative project, "We were once a Fairytale", a short film that originally started out as a video shoot for the "Nightmares" track from 808's. If you have 10 mins to spare, its pretty interesting. 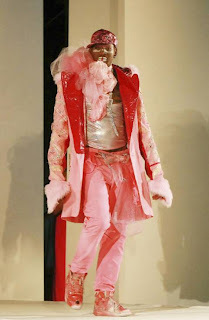 Above photo was taken of Mr. Rodman last week during the Miami Rock Fashion Week. Antics aside, lets not forget, dude was a beast on the boards, and brought 110% effort night in and night out. Check this highlight clip. Song seems to fit the clips perfectly. I had no idea Pharrell and Nigo brought back their famed "Cones and Bones" shirt as part of their Season 9 drop for Ice Cream. 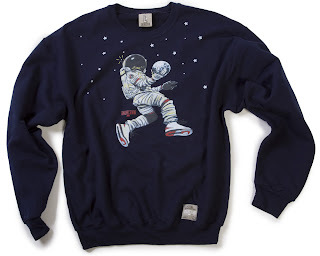 I was a huge fan of this shirt when it first dropped. It looks like they flipped it a bit this time around by utilizing a dotted print. 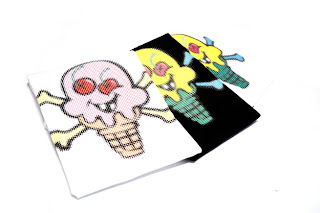 Available at BBC/Ice Cream flagship stores in addition to Online. 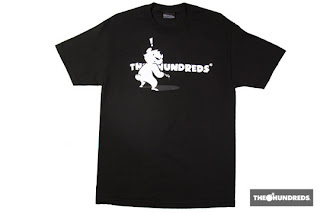 The Hundreds linked up with Phil Lumbang for a couple shirts as part of their ROSEWOOD Collection (ie only available at either the LA or SF Flagship store). Act fast if you are a Hundreds affecionado or in to Lumbang's world reknowned bears, because these won't last long! Not sure if anyone got a chance to catch this show last night, but it was a nice tribute to Def Jam, celebrating their 25th anniversary. Seeing this performance in particular brought me back to 4th grade, vibing out to the Kriss Kross thinking they were the ticket, only to have step-pops roll in, pop out my tape, and insert his LL Cool J tape to put me up on game. Fat Boys, Run DMC, and Whodini followed, and I fell in love what I know call Pop-Hop. Anyway, how cool of a vibe did old school rap have? So different. This performance, featuring Jazzy Jeff getting down on the ones and twos, the dancers in the adidas suits and kangols, and rapid fire delivery brought me back to those days of being a care-free youth rocking out to pops boombox. Much like most of the American population, Kanye West's super-hyped "Pastelle" clothing line felt the wrath of the recession and got the axe (before ever making a proper debut), according to High Snobiety. That was fast. Check the 'plex for a visual history of the line that never was. If you have about 20 mins to burn, scroll through Complex Mag's list of the Top 100 Shirts of the decade. I'll save you some time and let you know the Supreme x Kate Moss 10th Anniversary shirt took the cake (fair enough).Complex writes: "This Supreme graphic originally stems from the the street version—Supreme team members slapped shop stickers on the supermodel's Calvin Klein ads. It was released for the shop's 10-year anniversary, and got the co-sign from Ms. Moss." Naturally there were some key shirts left off the list, but what can you do, that's what these lists are designed for, to spark debate. 1. 3Sixteen - Melrose Place/Harlem World tee. Oh, and this hot Mighty Healthy is easily top-5. 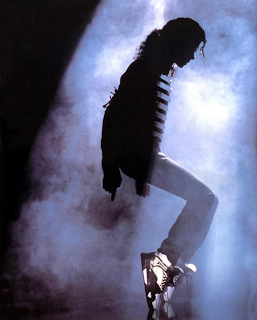 Check out the new MJ Single, THIS IS IT. Link courtesy of You heard that new?. Movie and Double CD drop 10/28/09. "An American Heritage product, Red Wing Shoes have been handcrafted in the US for more than 100 years. Charles H. Beckman first organized the company in Red Wing, MN in 1905, where its first pair of boots sold for just $1.75. In the years between 1907 to 1915, production increased from 100 pairs per day to 200,000 annually. Red Wing boots became standard issue for the World War I military. The 70's marked the company's global expansion and by 1985 Red Wing was producing two million pairs of shoes a year, in 150 styles. Today, Red Wing is the most respected manufacturer of boots and shoes around the world, and the company's craftspeople continue to make each pair by hand. Classic and comfortable, this style is one of Red Wing's most widely recognized. 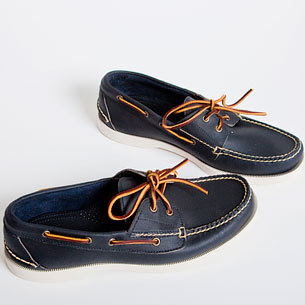 Upper: 100% Leather construction Sole: 100% Leather construction Made for American Apparel by Red Wing Shoes" Purchase here. 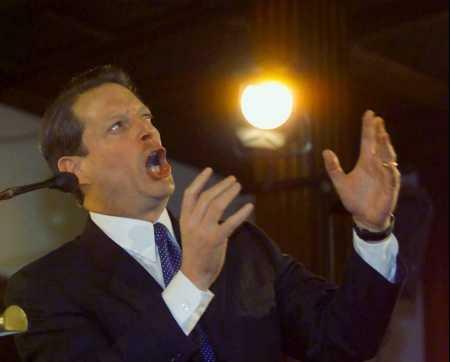 No, not that Gore. 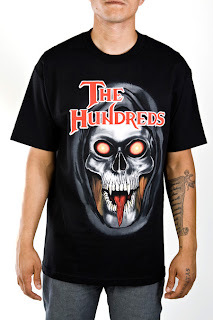 The Hundreds came up with a few Halloween shirts of their own this season, aside from their whole collaboration with tatoo artist Jun Cha, which is definitely on the darker side of their usual works. Above is my favorite of the lot (that hasn't already been featured on the site). "Just having a face like a skull isn’t enough these days if you really want to make an impression on someone. Lucky for this guy, he’s also got glowing eyes, sharp fangs, and a tongue like Gene Simmons. How’s that for first impressions? Ok, now who wants to see a man eating monkey brains? Back print reads, 'Often Imitated Never Equated.'" Award Tour has been one of my favorite brands out since inception. You can always cound on only a few products coming out each drop, with each piece having a story and full attention to detail. Designer/Creator/Owner/Volleyball Player/College student/Loch dropped some previews for the Fall/Winter line up. Very early in the progress (but that's the fun part), so check out some of the illustrations here. LOL, true story.See full list here. 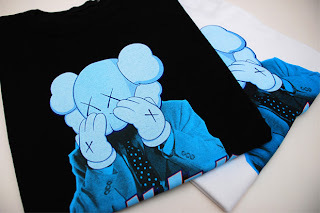 Kaws' jumpoff, Original Fake, throws out their annual Halloween digs (Previous: Stussy's bid). Check Sole Addiction for more pics. Ok, these aren't actually called "Cool Grey's", but I felt like the name fit. 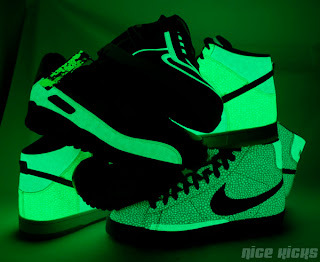 More pics/info here, via NiceKicks. So the wedding between Khloe Kardashian and Lamar Odom has a lot of Laker fans worried, thinking that the papparzzi and such is going to destroy the Candyman's focus (ie Tony Romo and Jessica Simpson, but lets be honest, Romo isn't playing too hot this yr either). 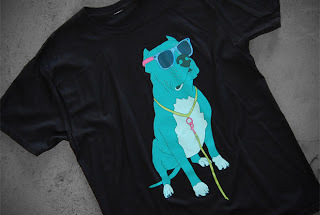 At any rate, Dimemag put me up on this shirt here. Not much to speak of from a design perspective, but the message is loud and clear. Michorizo: "Do they have this in Khloe size as well?" Yoooo: "You think they run big?" Famed underground comic artist Robert Crumb has a collaborative effort dropping with Vans in which he designed a SK8 Hi, a Slip On, and the Authentic model pictured above. 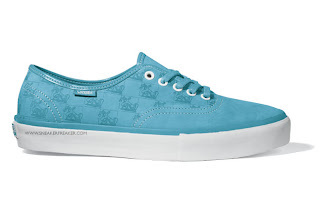 These became available on Oct 1, and according to Sneaker Freaker, are available at Vans Vault accounts only. "One Foot Out The Door" Episode 1: Back To School...And Off To Atlanta from Mike Posner on Vimeo. Figured its about time to put you guys up on Mike Posner by introducing you to Episode I of his web series - "One Foot Out the Door". 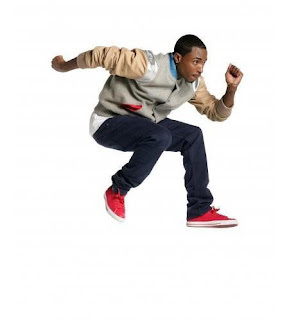 Posner signed to J Records off the strength of his debut mixtape, A Matter of Time (click to DL). Not gonna front, I only downloaded it for the couple tracks he had on there with Big Sean, but after finally listening to it after sitting on the zip file for a few months, I realized it had a nice vibe to it, and it earned its spot in the 6 disc cd-changer in the ride for the better part of the summer. 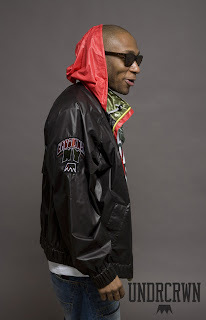 Dustin Canalin of UNDRCRWN and Mos Def collaborated on a cut n sew collection for UC, and it looks quite good. See the hand drawn sketches of the line up from the collab, and the pieces come to life, over at DC's spot. I'm liking the 'revolutionary' feel of the line up, heavy on the paisley print and bold colors (greens/blacks/reds). A lot of people ask, "What's the big deal with Supreme, why do they get so much love in the Streetwear community?" In my opinion, it comes down to 3 things: Tradition, Quality, and Timelessness. Supreme, along with other brands such as Stussy, Freshjive, STPL, have been on the forefront of this culture, and all still remain relevant today. I think the staying power is something to note. While they do sometimes jump a bit far outside the box (Malcom Mclaren Vans collab? Eeks! ), their designs are usually on point, and always set trends throughout the community. Another thing that is often overlooked is QUALITY. Supreme has been in to the cut and sew game for years, and as the end users know, there is a huge difference between having a dope design printed up on a standard blank shirt, and designing a shirt or sweatshirt template with a poroper fit and incorporating your design on that piece. Put that together with the fact that a majority of their accessories and clothing being is made in the USA, and you have the Ralph Lauren of the Streetwear world - timeless designs on quality gear. 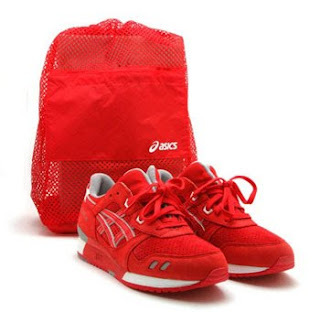 If you haven't been perusing Nice Kicks RELEASE DATES page, which shows all upcoming release dates for shoes of interest, you may have forgotten that the exclusive collab between Nice Kicks, the go-to site for all shoe lovers, and Asics, is dropping today. Go here for more information on availability.